StudioRIP offers industry-leading tools for using standard Epson inkjet printers for CTF and CTP use, making it the only StudioRIP to offer all the tools needed to get the best results at a low cost. 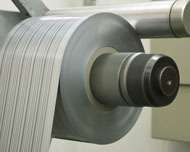 The printer driven by StudioRIP can output Aluminum/Polyester CTP plates with sharp dots at high speed. 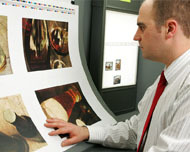 It can also image to film, for Screen/Offset/Flexo use. Epson Driver - Fully configurable to drive most Epson printers suitable for making plates and film, with easy-to-set speed settings and StudioRIP's own microweave tools to improve quality and eliminate banding. Density Modulation system - This allows for small halftones to have more ink, which creates a better filled dot, but reducing the ink for larger dots and solid areas to stop over inking. 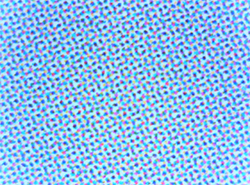 The results are well formed dots across the entire halftone range. Multi-Color Modes - With the StudioRIP the output color can be selected from any of the available colors. Allowing Photo or Matte Black to be used as well as Cyan, Magenta, Yellow or any of the light colors. 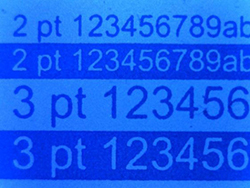 Twin Channel Mode - On some of the latest Epson printers with specific print heads 4900,7890,7900,11880 etc, StudioRIP can nearly double the output speed when using two colors as the same time. This gives a dramatic increase in speed without degradation in quality. 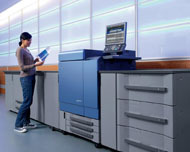 Four Channel Mode - This mode allows users to utilize four channels of an Epson printer to increase speed. With four channels the vertical resolution can be reduced give increased speed. 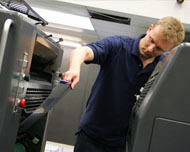 Ink Spread Compensation - With combinations of inks and substrates dot gain can be far greater on inkjet systems than conventional CTP. This can be compensated for in halftone areas but other RIPs have no effect on solid objects such as reversed text where small point sizes can start to fill in. StudioRIP offers Inkspread compensation to reduce and eliminate gain on solids by choking solid objects to a desired level. 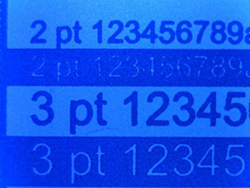 The results is that 2pt text in Negative and Solid on the plate look the same size.